Welcome. 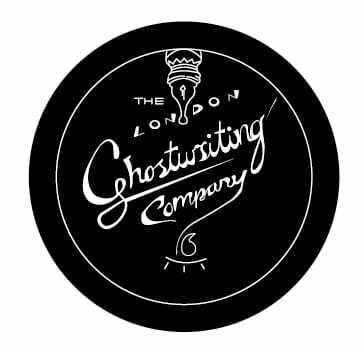 We are The London Ghostwriting Company. We provide bespoke writing services and well tailored, well ghostwritten books with the aim of getting you to market. We offer writing, editing and consultancy options to individuals and companies with experienced sought-after authors and scriptwriters for book and film concepts. We work on each project differently with a unique approach that is fitting and specific to the nature of the creative idea. We assign a team that is right for the purpose of the book and the individual requirements of a company, a person, or a family we are working with. It is a highly customised service that adjusts as it develops. It is a creative service because it is a creative process. The saying goes that everyone has a book in them but really… everyone has a story in them – or many stories! It is our job to help with the process of converting the story into a book: organising and developing it so it becomes an achievement and the book of its potential. We are interested in writing your story with you… and developing it with the intention of getting you published, and to help you make a return on your investment. We write novels, biographies, non-fiction books, memoirs, and screenplays for film and television as co-authors and as ghostwriters. We are based in London and we are pens at the ready… we just need your story. Your Story, Your Book. Do you have a passion, a career, or a business that would benefit from a book? Do you want to get your story ‘out there’, but need help from a creative anonymous team? Do you need regular blogs written for your website? We are a professional team who can help you get your idea, fiction novel, or life story into print. What is the full ghostwriting service? How long will it take? How much will it cost? Will you help me publish it? How will the writing collaboration work? What are the next steps? Visit the Ghostwriter FAQ for answers to the above. This website has been organised to provide the most relevant information to you about the writing and ghostwriting services that we offer as a company as well as general info about the ghostwriting service and what is available for you in the UK. Due to confidentiality, the majority of the work we have produced will not be featured, but some of what we have written can be reviewed at Ghostwriting Samples. Visit the Testimonials page and ghostwriting Prices for a basic review of our fees. The Ghostwriter Notebook is where we post essays and articles. Subject matter includes: the art of writing, ‘my life as a ghostwriter’, tips for ghostwriters, observations, and help for people who are looking to hire a writer. Want to know ‘why a ghostwriter is fundamental to your business?‘ Follow us for free writing and ghostwriting info. We also provide 1–1 mentoring services for writers as story consultants and due to our team background in scriptwriting, we run a screenwriting consultancy service for film, tv, and stage plays. We build submission proposals and treatments for people looking to submit manuscripts to agents and publishers. For enquiries, visit the Contact page. Priority will be given to those who fill out all of the information requested. The questions are there to help us help you. Your enquiry doesn’t need to be well crafted, we just need to get the essence of your story.